Glorious, peppery organic watercress, grown in gravel beds and fed by spring water. These freshly picked leaves add vibrant crunch to a salad or sandwich, and they’re a good garnish for strong meat and fish. 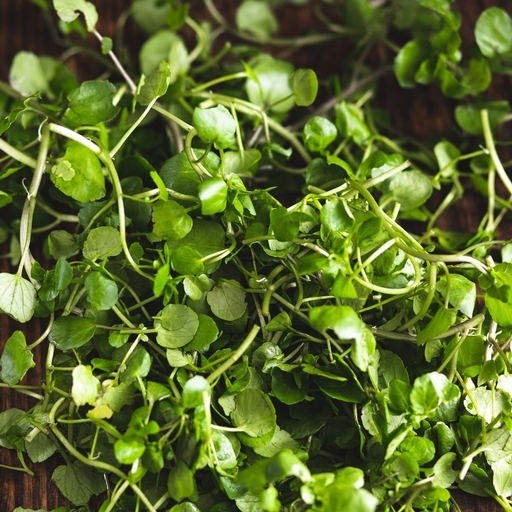 To fall in love with it entirely, blend watercress with mayonnaise and a touch of mustard and eat with poached salmon or chicken and buttery new potatoes. Use as salad leaves or in sandwiches. Also makes a great paté with smoked mackerel. Delivered from our farm, so wash before cooking. Best kept in the fridge and eaten within a couple of days. All produce is sold as Class II as per EC 1580/2007. The Organic Watercress Company in Dorset has been supplying Riverford for four years. The leaves grow in gravel beds and are fed by spring water. They are cut by hand and bagged the same day to be sent to customers.